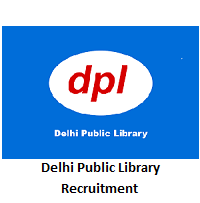 Delhi Public Library Recruitment 2019: The higher officials of Delhi Public Library had released the notification to fill 25 Posts of Multi Tasking Staff ( Library ). Candidates who are interested to work in Delhi, they can go through this article for Delhi Public Library ( DPL ) Notification 2019. The board members clearly gave all the data for which the candidates are looking for Delhi Public Library Recruitment 2019. Candidates who are interested in applying for dpl.gov.in Vacancies 2019, they can apply from 19th January 2019 to until 30 days from the date of publication of Notice in Employment News. Here the higher officials mentioned that applicants must Pass 12th from the recognized Organization/Board. Check the below section to get more info on Delhi Public Library Recruitment 2019. We had noticed that an enormous number of competitors are searching various websites on the internet for the Delhi Public Library Recruitment 2019 notification. For the comfort of the aspirants, we had provided this article. In the coming sections, we had discussed Educational Qualification, Selection Process, Salary details and, Application fee information. The application form is to be posted to the address which is given at the end of the section steps to apply. In this page, we had given the Delhi Public Library Recruitment 2019 notification link for more information aspirants can go through that link. In this section, we had provided the post wise vacancies for DPL Recruitment 2019. Candidates must and should have to know the Educational Qualification details while applying to the Delhi Public Library Recruitment 2019. The organization members of Delhi Public Library had mentioned the educational qualification details as following. Complete 10+2 or equivalent from a recognized Board/ Institute. Certificate/ Diploma in Library and Information Science. Before applying to Delhi Public Library Recruitment 2019 competitors have to know the age limit details. The minimum age limit for applying is from 27 Years. For Age Relaxation information, candidates can refer the official notification. The selection process for this Delhi Public Library Recruitment 2019 is done through Written Test/ Interview. For more details, aspirants can through the official notification. After understanding the details of the selection process, competitors have to know the salary details. The higher officials of the Delhi Public Library are giving an attractive pay scale of Rs. 18,000/- to Rs. 56,900/- for candidates who got selected for Delhi Public Library Recruitment 2019. Closing Date For Application Process: 30 days from the date of publication of Notice in Employment News. Firstly, a candidate must and should visit the official site of Delhi Public Library that is dpl.gov.in. There on the screen candidates will get the home page of Delhi Public Library. From there move to the Press Releases section. In that search for Delhi Public Library Recruitment 2019 notification link. Click on the link, candidates will get the official notification of Delhi Public Library Recruitment 2019. Then read the complete details provided in the Delhi Public Library Recruitment 2019 notification. After reading if you are eligible then fill the Delhi Public Library Recruitment 2019 application form. Recheck all the details that you had provided are correct or not. Download the application form and take two or more copies. Send the application form to the following address before the closing date. In this article, we had provided correct and accurate information about the Delhi Public Library Recruitment 2019. Candidates can keep visiting Sarkari Recruitment for more details about this Delhi Public Library Recruitment 2019. And from our site, candidates can get information about different state and central government jobs. And competitors can get details about various recruitments Admit Cards, Results, Previous Papers and Syllabus from our site. Aspirants having any doubts regarding this article can leave us a comment in the following box.